Many of you may just look at Long Live the Queen and pass it off as some “girly anime game”. I too thought that the game looked a bit silly, but I was surprised by just how enjoyable it is. It’s almost a masterpiece, which is not something I’d say too easily. Long Live the Queen is essentially a visual/interactive novel, but it goes a lot more in-depth in terms of interactivity that most visual novels do. You’re tasked with getting the main character, Elodie, to her coronation as Queen of Nova without getting killed. Although the game seems incredibly childish, it’s actually quite morbid. There are several deaths that Elodie can run into, with my first one being an arrow to the side, of which my “battlefield medicine” skill was not high enough for me to survive the incident. The other half of the game, aside from making good choices, is made up of skills. Elodie can learn a variety of skills. It’s actually a bit overwhelming, the amount of different skills that can be learned. 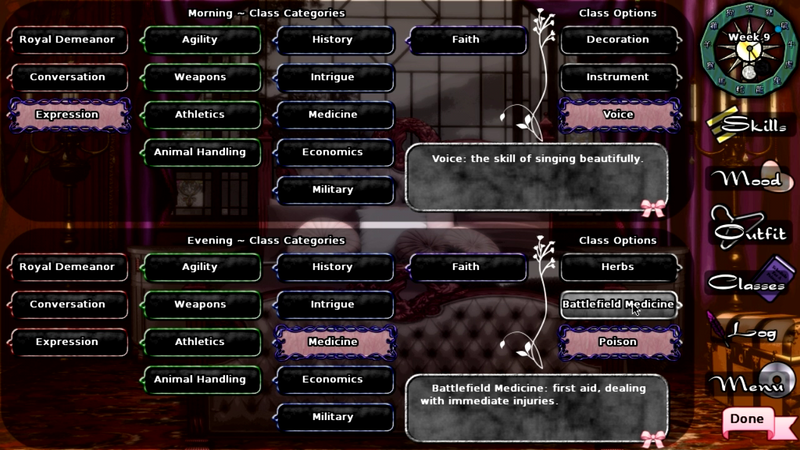 Every week, you have the choice of choosing two classes to take during that specific week, with each skill having its own class. Each of these skills is a part of a group of skills, which is a part of another group of skills. For example, the “Social” skill tree is made up of three skills: Royal Demeanor, Conversation, and Expression. Each of these breaks down even further, into three “sub-skills”. Expression breaks down into: “Decoration”, “Instrument”, and “Voice”. The four major categories for skills are: Social, Intellectual, Physical, and Mystical. 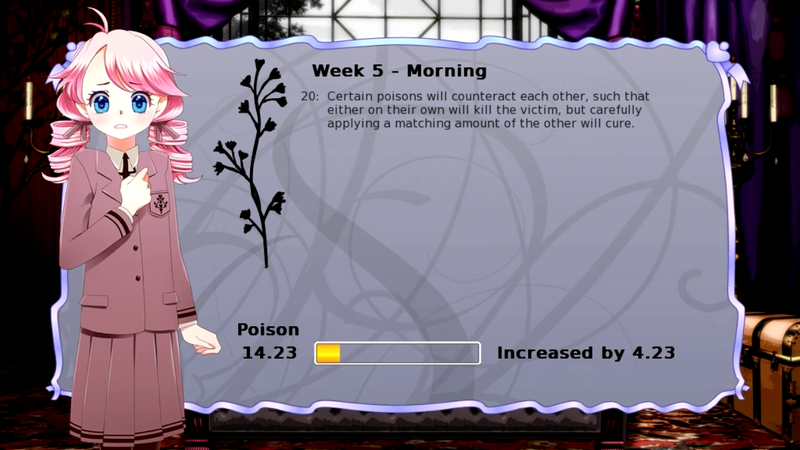 During the development of the game’s story, you’ll encounter various “skill checks” during the dialogue portions of the story. Passing a skill check is always good, as it progresses the story in a positive way (and can help prevent your death). Failing a skill check usually does not matter too much, but in some scenarios, failing a skill check can actually cause your death. 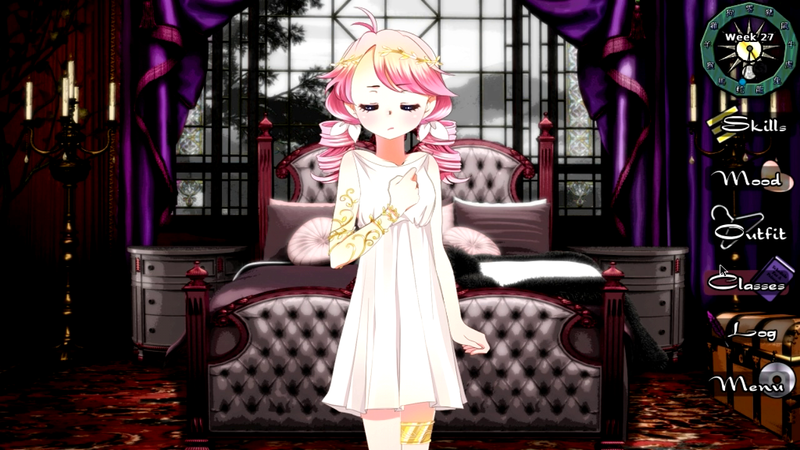 There’s also another major aspect to this game, that being Elodie’s mood. Her mood changes based on what happens during the storyline of the game and the choice you make at the end of the week as to what Elodie will do during the weekend. There are four sets of moods in the game, with two different emotions in each: Afraid — Angry, Depressed — Cheerful, Yielding — Willful, and Lonely — Pressured. Whichever mood is dominant determines the skill bonuses for that specific week (each “turn” in the game is another week). Each mood gives a bonus and a penalty to certain skills. The “depressed” mood gives a bonus to expression and animal handling, but a penalty to royal demeanor, conversation, and athletics, with all other skills remaining neutral. 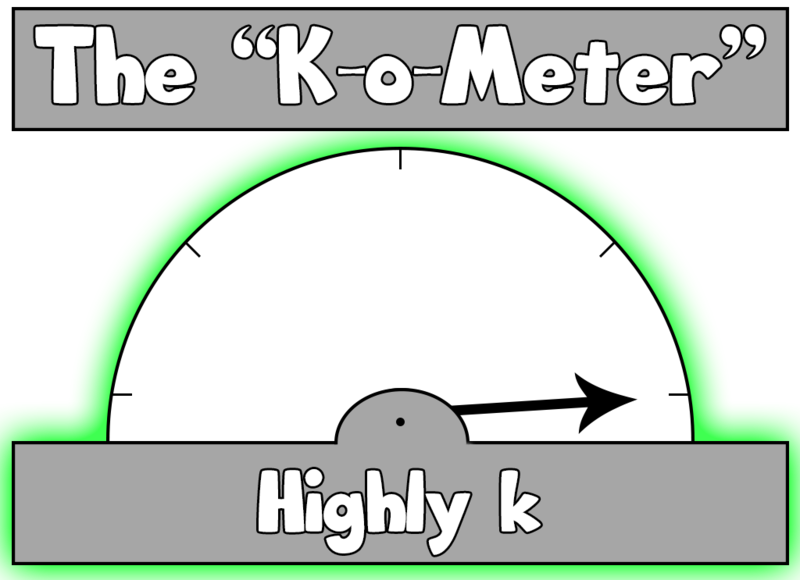 This can be used to greatly improve any of Elodie’s skills, depending on her mood that week. Long Live the Queen was a very, very fun experience. If I had to criticize the game, I’d note that the player has no idea which moods correspond to which skills in terms of bonuses and penalties (until you have that specific mood), so the use of a wiki is almost essential. I prefer to go at it and learn myself, but I could understand one using a wiki to avoid getting penalties when attending classes. Also, unless you use a wiki, you’ll have no idea when a certain skill will be required anytime during the story. You may get the hang of it after playing the game for an extended period of time though. Highly recommended!